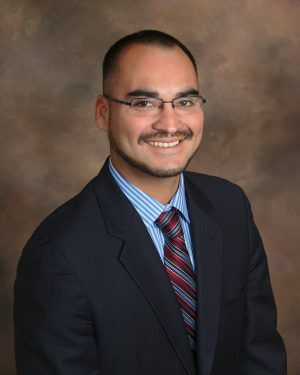 Chapter 7 bankruptcy is affordable with attorney Michael Benavides. He can help you eliminate credit cards, lawsuits and other unsecured debts for only $900 in attorney fees. To stop creditor calls and eliminate your debt call Michael Benavides at (707) 200-6688 for a free phone consultation. What Debts Can You Erase in Chapter 7 Bankruptcy? The first step is calling a bankruptcy attorney for a free consultation. A bankruptcy attorney will make sure that you qualify for chapter 7 bankruptcy. The attorney will also make sure that bankruptcy is actually necessary. At the end of the free consultation the bankruptcy attorney will quote a price to prepare the bankruptcy petition and represent you in chapter 7 bankruptcy. Many Lake County bankruptcy attorneys charge several thousand dollars in attorney fees, but Michael Benavides only charges $900. Can You File Bankruptcy Without An Attorney? You can lose your property: In chapter 7 bankruptcy non-exempt assets are seized by the bankruptcy trustee and sold. An attorney protects assets from sale in chapter 7 bankruptcy by exempting assets on Schedule C. In short, the bankruptcy attorney cites relevant State or Federal exemption law to protect certain types of property up to allowed amounts. Most individuals do not know what property can be protected, which exemption law applies and how to cite the relevant exemption law in Schedule C.
You can’t get out of chapter 7 bankruptcy: After you file chapter 7 bankruptcy you do not have the automatic right to dismiss your case. Moreover, as soon as you file chapter 7 bankruptcy your property now belongs to the bankruptcy estate. If you file bankruptcy without an attorney and find out that you can’t protect some property, the Trustee can seize and sell the non-exempt property. You can commit fraud or perjury: There are some unique rules in bankruptcy that trap unwary individuals. For example, trying to protect property by transferring away assets can get you into trouble. A bankruptcy attorney understands these rules and can help you stay on the right side of the law. The Trustee knows the law, has an attorney and can take your property. Shouldn’t you have a lawyer?